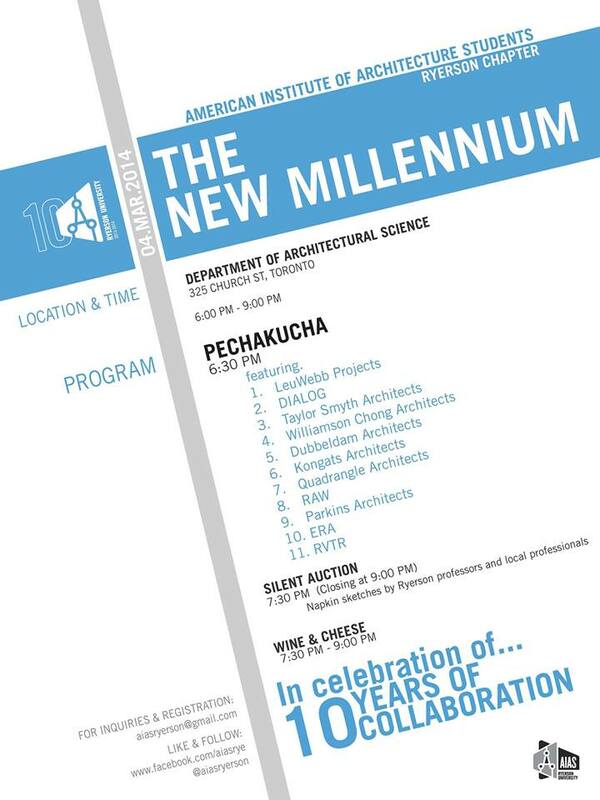 The New Millennium: AIAS Ryerson's 10th Anniversary Celebration and Pechakucha Lecture | Williamson Williamson Inc.
Shane Williamson will be presenting our 20 slides at tonight’s Pechakucha Lecture. It starts at 6:30 so don’t be late! There is also a Napkin Sketch Auction to which Don has submitted a beautiful drawing so get your checkbooks out too. …and of course food and wine. Williamson Chong will be out in full force so come say hello and take part in the celebration.